BFF joined Orange County staff members at the 2015 Clarcona Elementary School Open House. 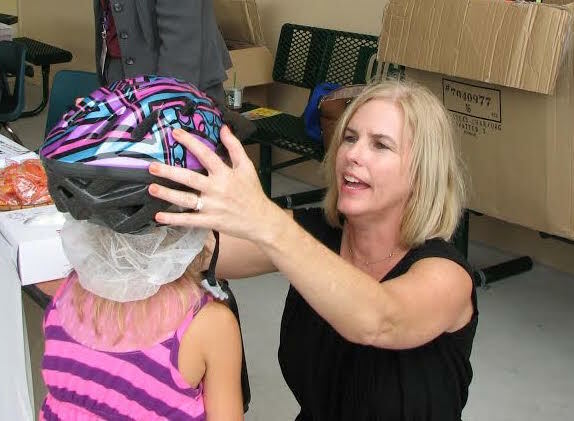 Staff members fitted students with helmets while BFF handed out pedestrian safety goodies. We were so glad to see parents so engaged in safety, as many of them were interested in learning more about Florida’s pedestrian laws. Of course, our littlest PEDS got some treats too – coloring books, which were a huge hit and a great way to teach kids about safety while they’re having fun. We also met a woman who has lost 100lbs just from riding her bike, an awesome achievement. Thank you, Orange County and Clarcona Elementary, for allowing us to join in on the fun.